Could there be a Hall of Records under the Balochistan Sphinx? 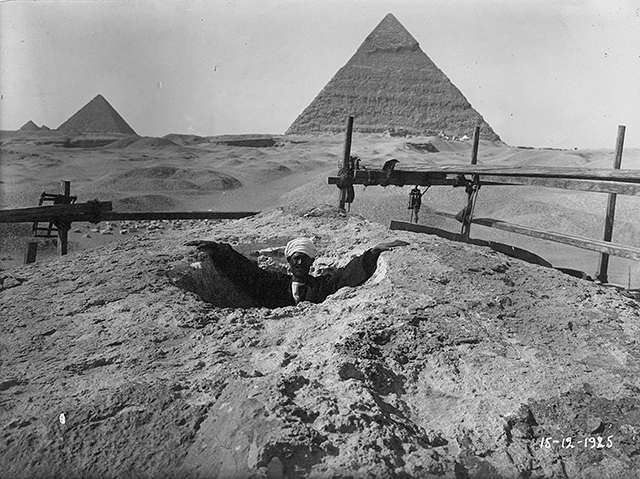 For a long time there have been speculations about a secret chamber located beneath the Great Sphinx at Giza. The idea had been popularized by Edgar Cayce, the 19th century American psychic, popularly known as the “Sleeping Prophet”. For nearly forty years, Cayce used to enter into a trance-like state and give profound information on various subjects. Many of his predictions about the future have come true, which is why his statements on the Sphinx have generated so much interest. Cayce had mentioned the Atlantean “Hall of Records” in a few of his readings. He said that when the people of Atlantis became aware that their civilization was about to be destroyed, they made identical copies of the records of their civilization, and kept them in two Hall of Records outside of Atlantis, while the original records remained inside a temple in Atlantis. The original Hall of Records in Atlantis was lost when Atlantis sank into the ocean at the end of the last Ice Age, at around 9600 BCE (as per Plato). Cayce said that the Hall of Records of Atlantis will be found in future, for Atlantis will rise again from the sea. All three Hall of Records shall be opened at a time when great changes are imminent in the consciousness of our world. The “temple of Iltar” is the temple built in the “Aryan or Yucatan lands”. This is the third site, outside of Atlantis and Egypt. According to Cayce, the Hall of Records will be opened by those that “are initiates in the knowledge of the One God”. This suggests that this sacred knowledge will be revealed only to those who have attained a certain degree of spiritual awareness. On the subject of the contents of the Hall of Records, Cayce said that they contain a “historical record” of the development and eventual collapse of Atlantis, including the numerous achievements of the Atlanteans in the arts, sciences, laws, philosophy, religion and spirituality. 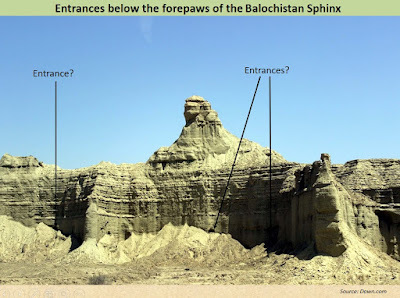 Regarding the location of the Hall of Records in Egypt, Cayce said that its position lies between the “paws of the Sphinx” (possibly carved into the bedrock below the Sphinx), and it can be reached by a passage from the right forepaw of the Sphinx. So, these are some of the readings of Edgar Cayce that have spawned a great deal of interest in the possibility of hidden chambers and passages located within and below the gigantic rock-cut body of the Great Sphinx. Interestingly, a number scientific surveys of the Sphinx enclosure using remote sensing equipment have come up with evidence of underground chambers and tunnels, which seem to support Cayce’s statements. Ever since the entire Sphinx sculpture was excavated from 1925-1936 by Emile Baraize, it has been known that there are a number of cavities and entrances that lead below this monument. 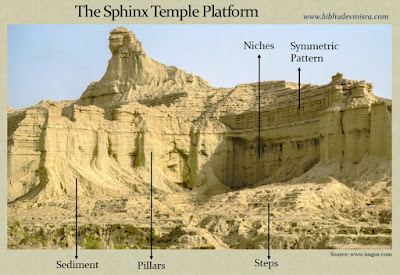 Since the 1970s, a series of scientific surveys have been carried out by experts using ground-penetrating radar and other remote sensing equipment to find out if there are additional passages and chambers in the bedrock below the Sphinx. In 1987 a Japanese team from the Waseda University, Tokyo, carried out an electromagnetic sounding survey of the Sanctuary of the Sphinx. Their results indicated the existence of a water pocket 2.5m to 3m underground near the south hind paw of the Sphinx, another cavity near the north hind paw, and evidence of a tunnel underneath the Sphinx oriented in a north-south direction. Another survey carried out in 1991 by a team led by Robert Schoch and John Anthony West found subsurface cavities in front of the front left paw, and extending from the left paw back along the south flank. The Florida State University, on behalf of the Schor Expedition, carried out a remote sensing survey around the Sphinx and elsewhere on the plateau in 1996. 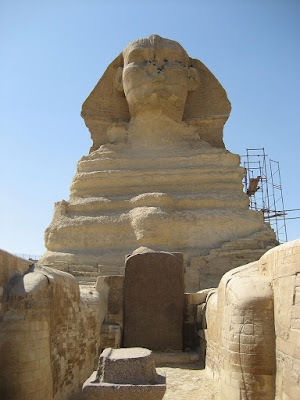 They claimed to have found “rooms and tunnels” in front of the Sphinx and running from the rear of the Sphinx. Hence, there are evidences of underground passages and chambers in the Sanctuary of the Sphinx, and more could be discovered in future as the technology improves. Of course, as Egyptologist Mark Lehner points out, it is not clear whether these anomalies are man-made rooms and tunnels, or natural features of the bedrock such as fissures, cavities, and areas of weak rock. Nevertheless, there is enough to suggest that Cayce’s readings may have an element of truth to them. The purported location of the Hall of Chambers, as per Cayce, is between the forepaws of the Sphinx. This is where the so-called Dream Stela or Sphinx Stela was set up by the pharaoh Tuthmosis IV. The stela tells the story of young king Tuthmosis, who fell asleep near the Sphinx, and dreamt that the sun god Khepri-Re-Atum will make him the pharaoh of Upper and Lower Egypt unified, if he cleared away the sand that had been building up around the Sphinx. Tuthmosis IV did as he was instructed and went on to become the pharaoh of unified Egypt. What is interesting is that, the Dream Stele is actually the lintel of a doorway taken from the mortuary temple of Khafre's Pyramid. Could it be that the stele hides a secret doorway to the Hall of Records? One of the factors that hints at this possibility is a similar configuration found at the Shiva Temple in Gangaikonda Cholapuram in Tamil Nadu, India. 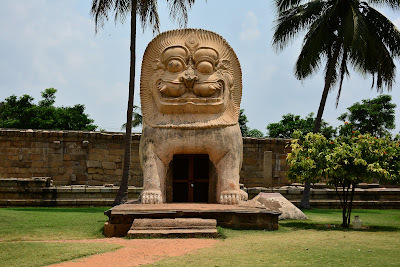 Gangaikonda Cholapuram is now a small village in Tamil Nadu, but in the past it served as the capital city of the Chola dynasty for around 250 years. The Brihadeeswarar Temple at this place is dedicated to Lord Shiva, and was erected in 1035 AD by the king Rajendra Chola. 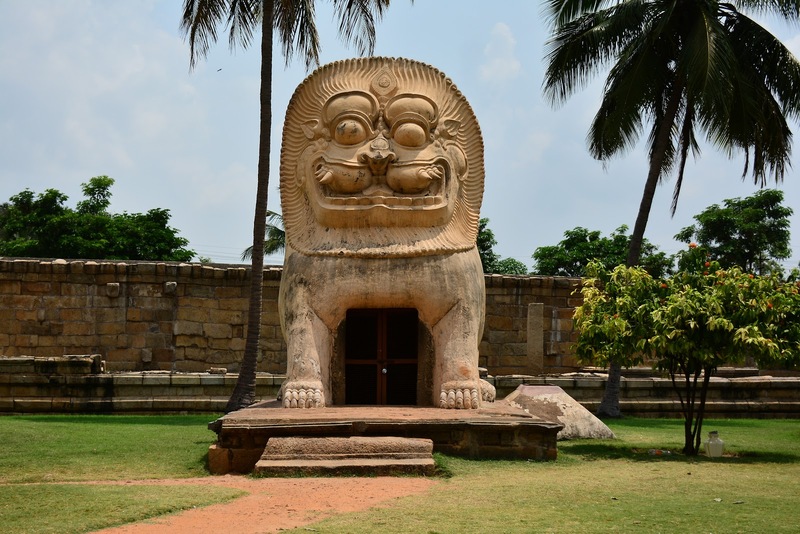 One of the striking structures within the temple complex is called the Simha-kinar or lion well. A giant sculpted lion sits on its hind legs, and between its fore-paws there is a doorway. The doorway leads to a flight of stairs that descends through a narrow tunnel and opens out into a large water tank. According to legends, after Rajendra Chola defeated the kings of the Gangetic Kingdoms, his army brought back pots of water from the holy Ganges and emptied it into this tank. This enigmatic sculpture made me wonder if the Dream Stela could be guarding a hidden doorway between the forepaws of the Great Sphinx that leads to the Hall of Records. 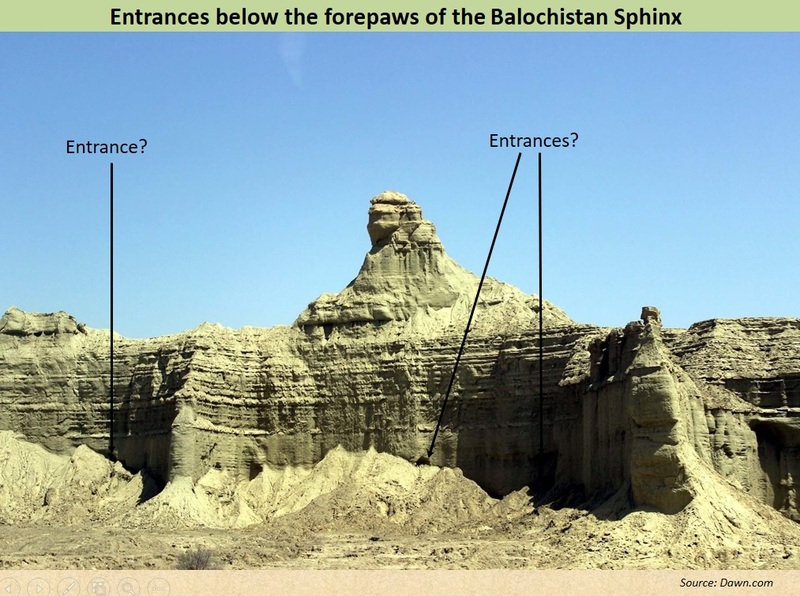 I also noticed that the Balochistan Sphinx, located on the Makran coastline of Pakistan, shows evidence of entrances carved into the elevated platform, right below the forepaws of the Sphinx. 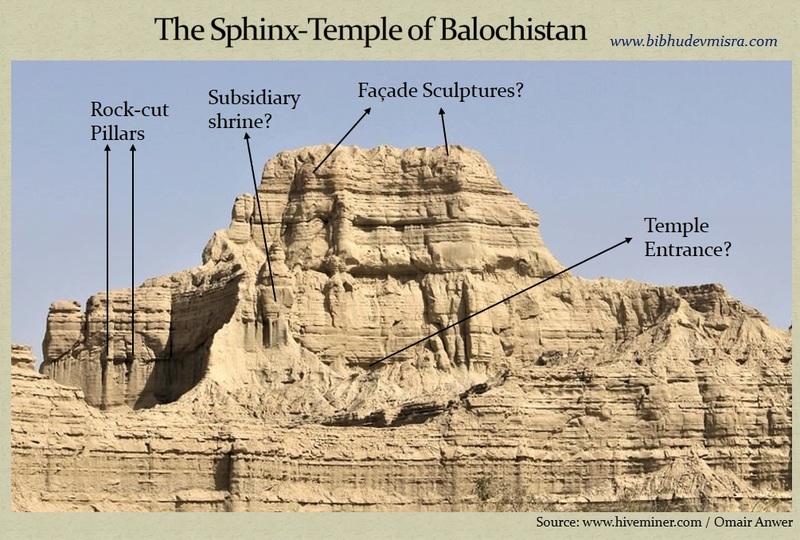 I had written an article on the Balochistan Sphinx-Templecomplex more than a year back, in order to bring attention to this enigmatic archaeological site which has been passed-off as a natural formation by journalists till now. 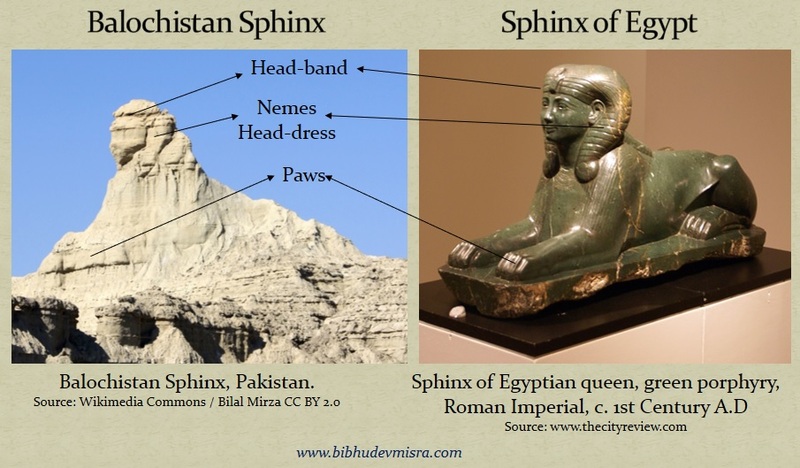 I had argued that the Balochistan Sphinx shows an uncanny resemblance to the Great Sphinx of Giza, with its Nemes head dress and the head-band holding it in place. It has been carved on top of an elevated platform that is decorated with pillars, niches and a symmetric pattern. 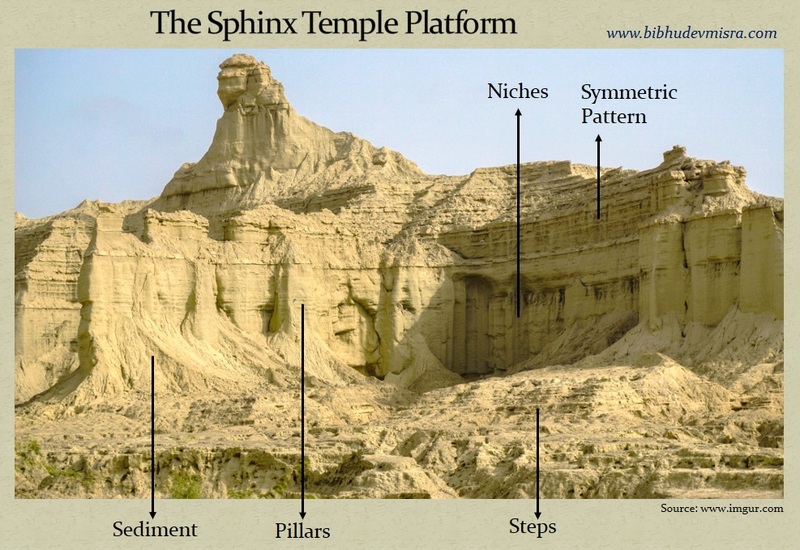 Fig 6: The Balochistan Sphinx-Temple platform with steps, pillars, niches and a symmetric pattern. A number of people who have seen the Sphinx have said that their first impression of the structure was that it must be man-made. Unfortunately, no-one till now has explored the entire site properly, and we do not have detailed photographs that would help us to ascertain this without any ambiguity. I was very keen on visiting the place myself, but the travel restrictions between India and Pakistan means that this cannot happen in the near future. While perusing through some more photographs of the Sphinx on the Internet, I noticed that right below the forepaws of the Sphinx there appears to be a few entrances carved into the rock. Could these entrances lead to a Hall of Records? In his readings, Cayce states that the third Hall of Records outside of Atlantis and Egypt is located in the “Aryan or Yucatan land”. It is strange that Cayce would use the terms Aryan and Yucatan together. The term “Aryan land” refers to the territory of the Indo-Persians while the Yucatan peninsula is in Mexico where the Olmec and Mayan cultures had flourished. In a few of his readings, Cayce explicitly identifies the Persian land as the land of the Aryans. For instance, in Reading 1472-10 he said, “…the Persian or Aryan lands” and in Reading 204-1 he said “…of that ruler in the Aryan land” (here used as a synonym of Persia). 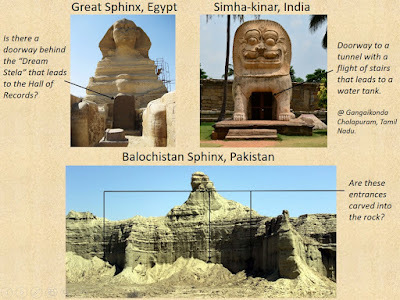 If we assume that the third Hall of Records is located in the “Aryan lands”, then the Balochistan Sphinx is a very good candidate. This archaeological complex is located on the Makran coastline, the sovereignty over which alternated between India and Persia for most of recorded history. Hence, it is situated in the Aryan lands. Cayce said that a “temple” foreshadows the Hall of Records in the Aryan land. This temple could be the eroded temple-like structure right next to the Sphinx. The archaeological complex appears to have been destroyed by some cataclysm, and the extent of sedimentation at the site suggests that it may have remained under water for some time. Cayce said in his readings, that “the temple of Iltar will rise again”, thereby suggesting that the temple of Iltar - where the third Hall of Records was located - was submerged under water. In addition, there are indications of doorways carved into the elevated platform below the forepaws of the Sphinx. 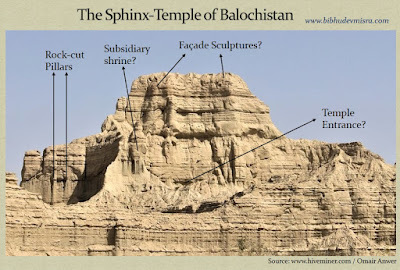 It is possible, therefore, that the temple of Iltar that Cayce had mentioned in his readings was the Balochistan Sphinx-Temple complex. If so, then the site must be extremely old - perhaps as old as Gobekli Tepe (c.9600 BCE) - dating back to the very beginning of the post-glacial epoch. That is not a very unlikely supposition, going by the extent of weathering visible on the Sphinx and the Temple. This place could have been one of the primary staging points for a new phase of civilization after the global cataclysms of the Younger Dryas epoch. This is why the exploration, excavation, and restoration of this enigmatic site is of paramount importance; for it could contain records and artifacts that could lead us back to the very origins of our civilization. I do hope that archaeologists around the world will take note of this grand structure and initiate some much-needed surveys. There are indications that the period of change that Cayce talks about is now. We are poised at the end of the Kali Yuga, and about to enter into a turbulent period of transition. Therefore, this is the time we should make renewed efforts for uncovering the mysteries of the past, and try to understand the true significance of the symbols and legends that our ancestors have left behind.